All available space in the river valley is occupied by homes and gardens. One has to hope that the river is not subject to serious flooding. 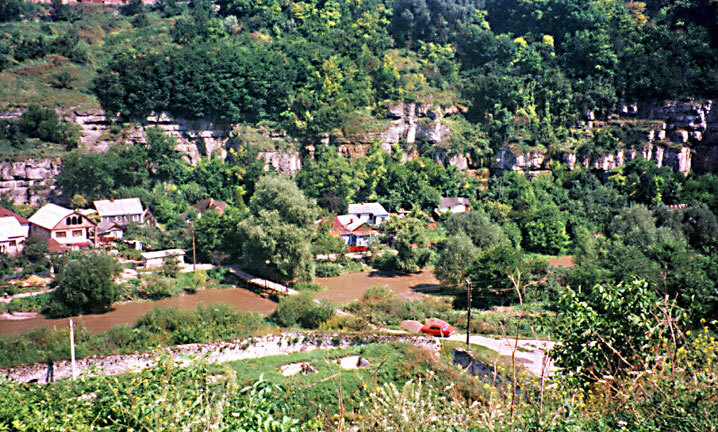 This view is from the top of the ridge on which the Polish suburb is located down to the old bridge (see city plan) we will cross to enter the city.